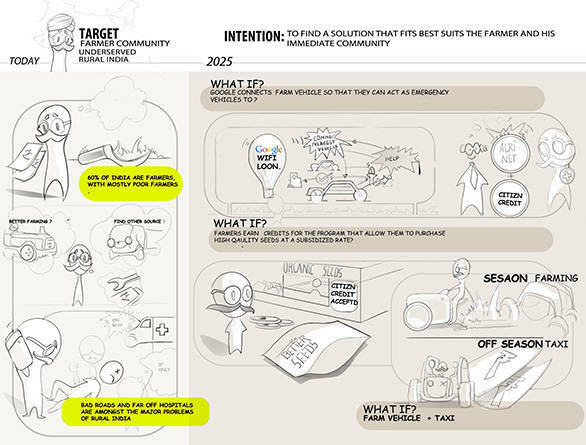 Michelin has announced the 14 winners of the 2016 Michelin Challenge Design, Mobility for All  Designing for the Next Frontier. The teams included members from Albania, Bahrain, Canada, Colombia, India, Indonesia, Italy, Mexico, Poland, South Korea, Taiwan, United Kingdom and the United States. The team that took first place are from India and comprise of Rajshekhar Dass, Abu Huraira Shaikh, Sunny Duseja, Joji Isaac, Saksham Karunakar and Tajeshwar Kaul for their design entry, the Google Community Vehicle. 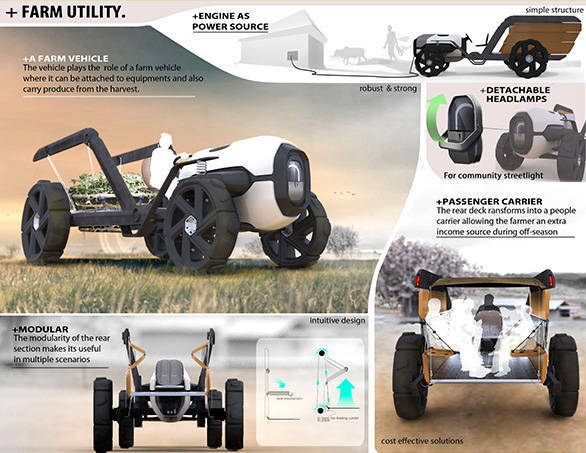 Their design entry is targeted at the rural farming communities of India. The Google Community Vehicle is designed to be multi-purpose mode of transport. 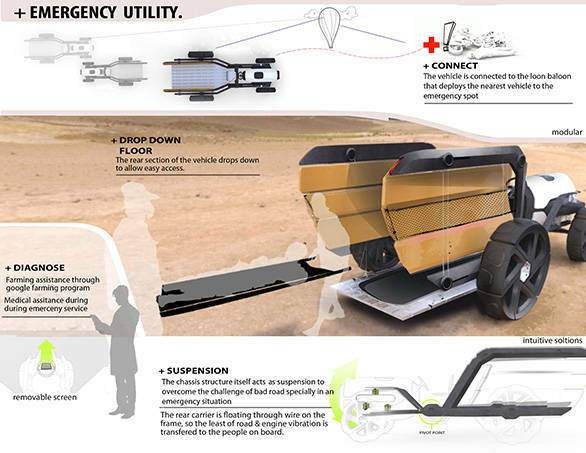 It can be used as a farm vehicle that attaches to farming equipment or as a means to transport the produce. The Google Community Vehicle has been put together quite cleverly. The headlamp, can be detached to be used as a community street light, while the engine can be used as a source of power for the farmer's house. Another problem faced by farmers in India is the lack of income during the off-season. To tackle this situation, the Google Community Vehicle can be transformed into a passenger carrier that the farmer can use to earn additional income. The Google Community Vehicle can be transformed into an emergency response unit as well. Designed to be connected to a Google Loon balloon, the nearest vehicle to the emergency will be deployed. To tackle bad roads it is designed to use a system that allows the chassis structure to function as the suspension. Additionally, the Google Community Vehicle would get Momentum Wheels which use segmented modules that increase momentum over rough terrain by pushing against each other. Michelin will take one representative designer from each of the top three teams to attend the North American International Auto Show (NAIAS). They will be recognised during Michelin's Designer's Reception. The designs of the 14 winners will be displayed at the 2016 NAIAS in Detroit in January. 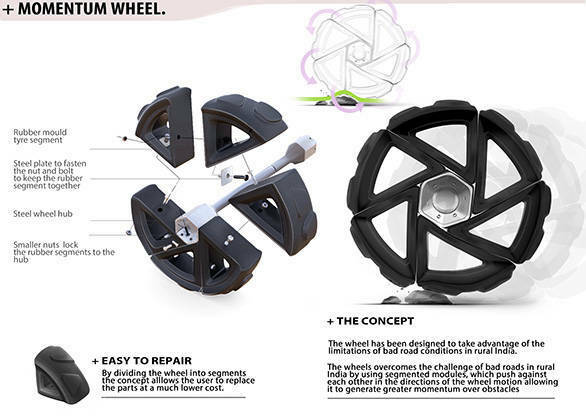 Stewart Reed, jury chairman of the Michelin Challenge Design had said, "The jury was highly impressed by the ingenious, often simplistic and creative mobility solutions that were submitted for this year's Michelin Challenge Design competition. Designing mobility for all is such an important topic in the automotive industry. Receiving entries from nearly 70 countries reinforces the importance and global nature of the Michelin Challenge Design." For more information on the winners of the contest, you can read the press release given below.